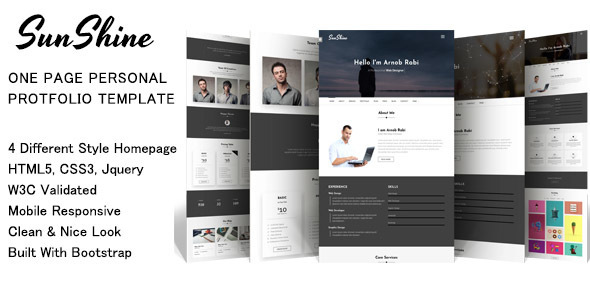 SunShine is a Unique, modern, clean One Page Personal Portfolio html5 template. Very good coding with commenting each element of the website. validated and are well documented .